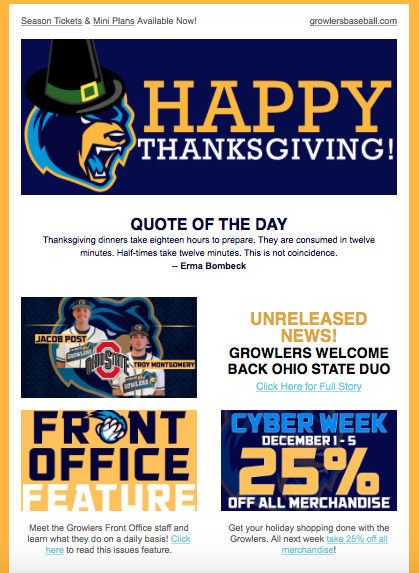 Sign up for the Growlers Insider E-Newletter today! Receive news on the roster, exclusive deals and ticket information before anyone else! To subscribe, fill out the form below.